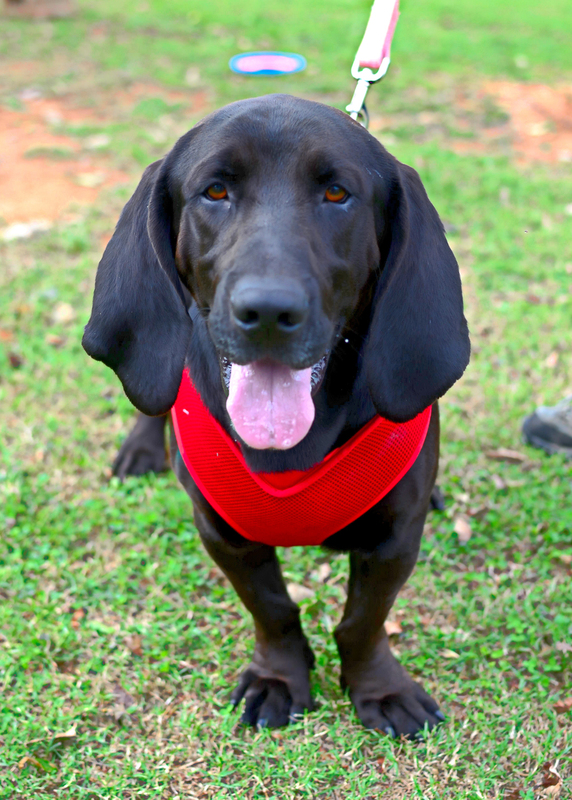 Long-bodied, thick and stocky with legs shorter than his ears, Beau is a dog you can’t forget. 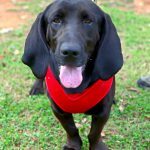 This silly bundle of Basset Hound and Black Labrador loves to gallivant through with no particular destination in mind. His favorite activity is to dawdle in the yard and smell everything. He’s hoping to find something of interest, even if it is just a rock. 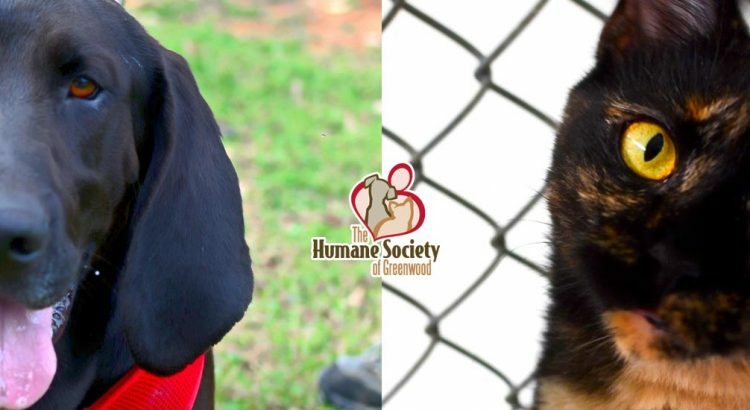 Friendly, spunky, and as good natured as anyone could be, Beau is just a good ol’ boy with a big ol’ heart. Never has a cat been born for the spotlight than Alexis. 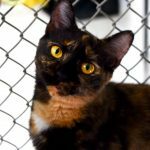 This brown and orange Tortoiseshell kitty may look like she’s royalty, but she’s nothing but a funny little flirt. Whether she’s nuzzling her head into your folded arms, slinking around your legs, or purring loudly as you scratch behind her ear, she’s pure love and fun. 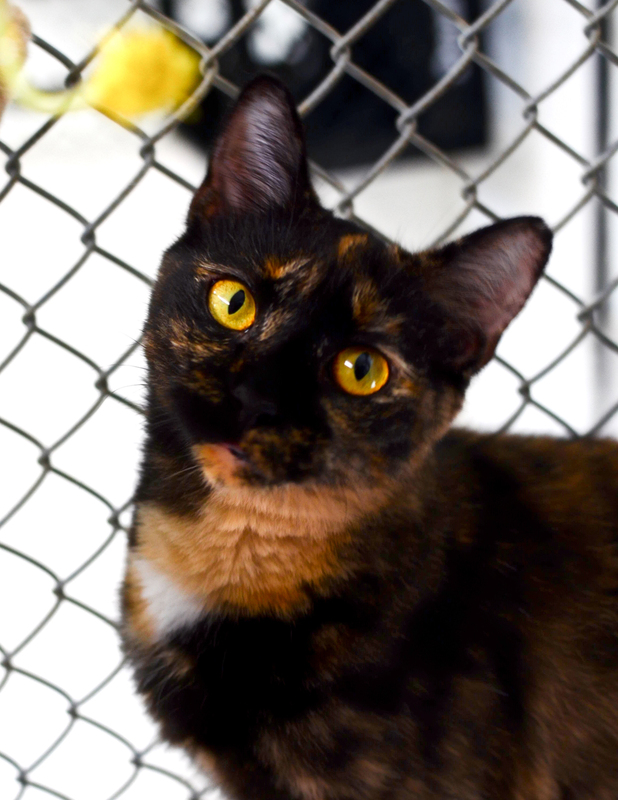 This one-year-old golden gal is destined to be someone’s best feline friend.